In our strive to serve you, our customers better, we attend seminars and conferences, learning the latest in canine behaviour, training and psychology, helping create the proper atmosphere for your best friend to enjoy! From a young age Cheryl loved animals, growing up and training her own German Shorthaired Pointer. In 2003 Cheryl began her career as an assistant trainer at a local training facility, helping clients with training and nutritional advice. Within 2 years Cheryl had become a fully accredited dog trainer and behaviour therapist. Attending yearly seminars and symposiums helps keep Cheryl keen to the ever changing developments in canine training and behaviour modifications. From the time George was born he was always involved with training, helping his father train horses on the family farm. Seeing a need for dog daycare, in the area, with a more positive approach, George attended training seminars and courses to help gain a better perspective to canine behaviour. 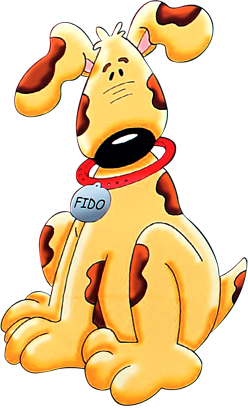 It was in 2007 with the help and guidance of his wife Cheryl that Fido’s Playground was born. Both Cheryl and George are certified in Canine First-aid and Reike. Both have also learned from the likes of: Dr. Nicholas H. Dodman; Dr. Ian Dunbar; Dr. Roger Abrantes; Dr. Jennifer Messer; Dr. Sophia Yin; Dr. Suzanne Hetts; Mark Beckoff Ph.D; Dan Estep Ph.D; Patricia McConnell Ph.D; Pia Silvani; Suzanne Clothier; Kelly Gorman Dunbar; Jean Donaldson; Turrid Rugas; Temple Grandin; Sarah Kalnajs; Victoria Stillwell; Brenda Aloff; Pat Miller; Pamela Reid; Trish King CPDT, CDBC; Nicole Wilde, CPDT; Gillian Ridgeway, AHT.